One woman has died and others have "catastrophic" injuries following a suspected terror attack outside the British parliament. LONDON: One woman has died and others have "catastrophic" injuries following a suspected terror attack outside the British parliament, local media reported on Wednesday citing a junior doctor. 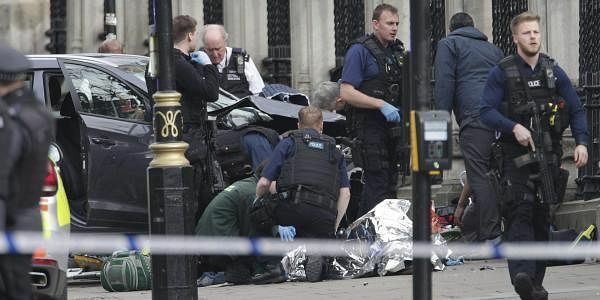 Eyewitnesses told British media the attacker mowed down pedestrians on Westminster Bridge before crashing his car into railings outside the Houses of Parliament then running out with a knife, stabbing a police officer and then being shot.